Corporal Mitchell Red Cloud was posthumously awarded the Congressional Medal of Honor for his courageous action in battle between U.S. troops and Chinese Communists near Chonghyon, Korea, Nov. 5, 1950. Red Cloud’s Company was entrenched beside Hill 123. Early in the morning a large enemy force bore down upon them. Red Cloud shouted a warning and started shooting. In the exchange fire, he was critically wounded, but dragged himself up and, supporting himself by a tree, continued firing and gave his company time to reorganize before he was killed. Red Cloud was one of Carlson’s Raiders in World War II. He was descended from a family of warriors. Chief Winneshiek, his grandfather, with others of his tribe, refused to be resettled in Nebraska and returned to this region. This marker is near Red Cloud’s birthplace and adjoins the site of Winnebago powwow grounds. To the northwest 1½ miles is the Indian Mission and Old Decorah Cemetery, where he is buried. 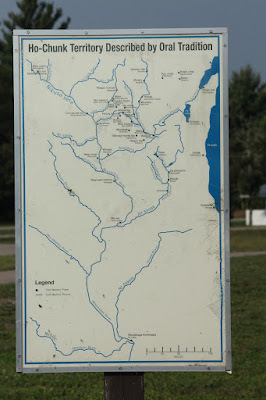 The marker is located at Red Cloud Memorial Park / Andrew Blackhawk Memorial Pow Wow Grounds, on westbound State Highway 54, east of its intersection with North Brockway Road, east of Black River Falls, Wisconsin 54615. 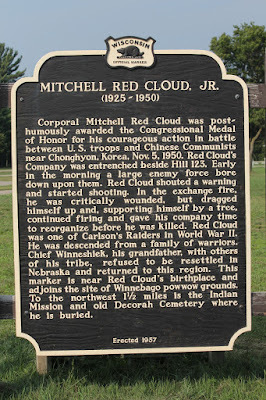 Wikipedia: Mitchell Red Cloud, Jr. The Andrew Blackwell Memorial Pow Wow Grounds is listed on the National Register of Historic Places: Wisconsin. 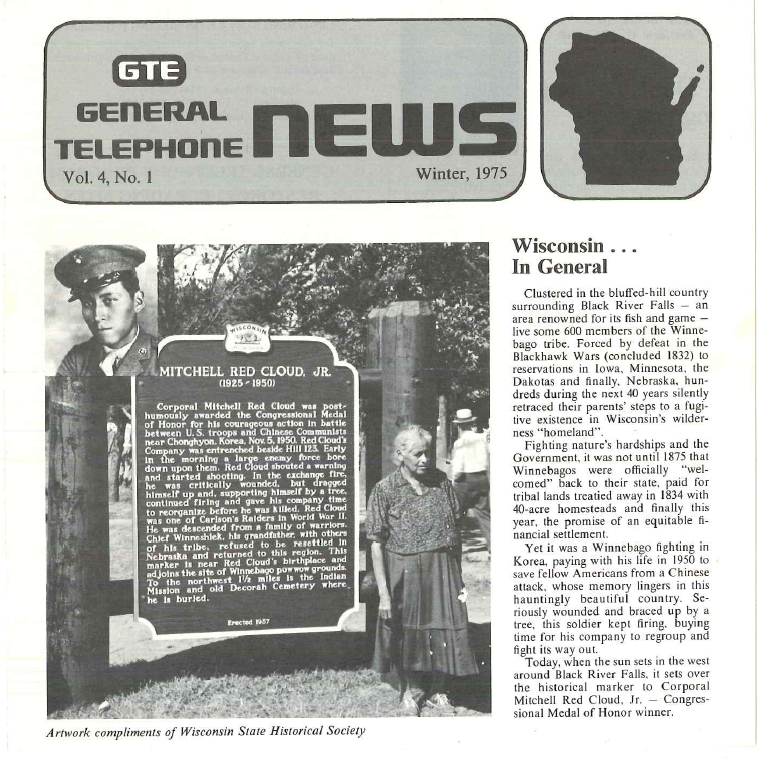 Located in the archives of the Wisconsin Historical Society, September 19, 2014. Next to the marker . . .
View from eastbound Wisconsin Highway 54.